Reza Khadjavi is the Founder of Shoelace, which specializes in retargeting, especially for Shopify stores. We cover a lot of ground in terms of what kind of return on add spend you can expect to see with retargeting, desktop versus mobile, and if you should be layering all sorts of additional demographic attributes on top of your retargeting to improve your ad spend. Andrew: Welcome to “The eCommerceFuel Podcast,” the show dedicated to helping seven-figure-plus store owners build incredible businesses and amazing lives. I’m your host, Andrew Youderian. Today on the show I’m joined by the co-founder of Shoelace, Reza Khadjavi, to talk about retargeting. Shoelace specializes on retargeting, especially for Shopify stores. We cover a lot of ground in terms of what kind of return on add spend you can expect to see with retargeting, desktop versus mobile, if you should be layering all sorts of additional demographic attributes on top of your retargeting to improve your ad spend. We talk about what makes a great Facebook retargeting, and we talk about fighting ad fatigue, managing your budgets, a ton of stuff. So, if you’re retargeting, hopefully, you can get a few nuggets to further optimize your campaigns, and if you’re not retargeting right now, absolutely listen to this to help you get off on the right foot. But before we jump in, I wanna give a big “Thank you” to our two sponsors who make the show possible. First, to Liquid Web, hands down the best place to host your WooCommerce store online. I use Liquid Web, their servers, to host all of my own: my blog, a WooCommerce store that I have, our eCommerceFuel private directories. I use them for all of my tech infrastructure that I can in our community. Our community loves them. In our private directory we’ve got, you know, a place where we review different providers, and they’ve got a 4.8 out of 5 star rating, 100% four and five star reviews from our community of experienced seven-figure sellers. They’re a great company, especially for WooCommerce. They’ve got an optimized managed WooCommerce platform to make your WooCommerce store run as seamlessly, quickly and scalable as possible. So, if you’re in the market for WooCommerce hosting, you have to check these guys out. You can do that at ecommercefuel.com/liquidweb. And then secondly, a big “Thank you” to Klaviyo, who makes email marketing automation for ecommerce incredibly easy and powerful. A couple of cool things that they’ve come out with in the fairly recent past, flow enhancements, they rolled out. So, you can create all sorts of flow based on date-based issues for birthday countdowns, for one example. They’ve got location-based targeting, so for easy EU versus U.S. targeting. If you’ve got GDPR things, if you want to focus geographically on different promotions that you have, you can now do that with Klaviyo. And of course, the new lifetime value segments that they recently rolled, which is pretty cool. So, if you’re not using them for your email marketing for ecommerce, you’re leaving money on the table. And you can get started for free at ecommercefuel.com/klaviyo. All right, let’s go ahead and get into my discussion today with Reza on maximizing your return on retargeting spend. Reza, so I’d want to start with, for people who aren’t doing retargeting, or aren’t doing it may be as much as they should, where retargeting ranks in terms of effectiveness, in terms of, you know, return on ad spend and the paid traffic, you know, hierarchy. Is there something that you’ve got to dial in pretty well to see is a decent return on ad spend for it, or is it probably one of the more no-brainer, let’s set this up because we’re gonna get a pretty good bang for the buck right out of the gates form of paid traffic? Reza: Yeah, I’d say it’s mostly the latter. So, if you compare retargeting to let’s say prospecting top of the funnel ads where you’re showing ads to people who’ve never heard of your brand before, those tend to be, as you would imagine, you know, people are not necessarily sitting behind their computer with a credit card ready to purchase your product, so, you know, the returns that you’ll see on retargeting which are aimed at people who have been on your site or have checked out some products and have expressed some interest in buying, the returns are gonna be obviously a lot higher for sure. Andrew: Yeah. 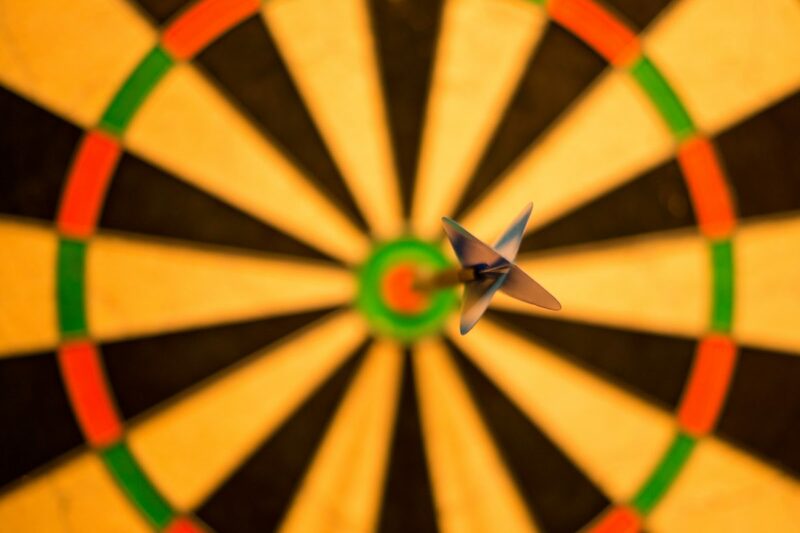 How granular should people get retargeting? Like, you’ve got the approach of, you know, you could retarget everyone who hits the site. I’m guessing that’s probably not the best attempt. But then you’ve also got, you know, you could just do people view, a category page, a product page and add to cart, start the checkout process. You got this whole spectrum there. And testing I’m sure is gonna be, you know, important for different people, but is there a good rule of thumb you have for how selective you should get without being too selective in that behavioral process of people you’re retargeting? Reza: Yeah, well, I mean, first of all, I love thinking about it this way, because I think not enough people think about that, but that, you know, such granularity is possible. It’s just like, you know, “Anybody who has been to my website, we’ll show them some odds.” Whereas, you know, if you think about the journey that they go through in terms of the funnel, you’ll have people who’ll handle the homepage and then, you know, you have, in each stage there are people dropping off who don’t make it to the next stage of the funnel. And so conceptually, it makes sense to at least carve out four stages, let’s say, of people who left off for the homepage, people who looked at a product, people who added to cart, and people who purchased. I think those are roughly good four categories. And then the question of, you can get even granular than that within those stages, and we’ll talk a bit about that. But just within those four, I’d say it depends on a couple of things. It depends on how big the audience is. So, if, you know, if someone’s running a smaller store and doesn’t have a ton of traffic where if you were to segment the people who added to cart over the last let’s say seven days, it would only be a couple of dozen people, that audience might be way too small to isolate into showing granular add. So, it depends. I’d say as a rule of thumb, the higher the traffic, the more granular one should become with retargeting, ad set. Is that something that many people have success with that a lot of people do, or is that just adding, you know, a little too much complexity to it? Reza: Yeah, so I’d say the only time where this makes sense is when you have some really compelling data from your analytics to suggest that, you know, these specific attributes really matter. So, let’s take an example of country. You might get traffic from all over the world, but you might notice that, you know, you have 40% of your traffic coming from a few countries that are just not converting, maybe they’re here to, you know, browse or something like that. And maybe you don’t even ship there or something, but you know definitively, that this advertising to this group is a waste of money. I would say those make a lot of sense, but to try to, you know, add more intent-based filters, that sort of thing, probably is not worth the effort just given how small the retargeting audiences are anyway. I’d say that kind of activity makes a lot more sense on the top of the funnel, but then on retargeting, you wanna take attributes that you really know matter. So, maybe you have a gender split in terms of where most of your sales coming from, although even those are dangerous to get sometimes. Even if you’re an independent niche that sells women clothing, maybe you have men who are buying it for their significant others or something like that. So, I’d say any additional filtering on retargeting should be based on some pretty definitive data. But I think what is interesting to do is, you know, going beyond the basic adding to cart, or viewing a product. You can do stuff which takes a little bit more work, like you’d have to fire some custom events through your store, but things like measuring how long somebody has been on the site. So, if they have their bid on for at least 10 seconds or 15 seconds, and let’s say, excluding people who bounced off the site under 10 seconds or things like, is it somebody is first session or third session, and filtering that way. But, you know, to do that requires a bit more additional work to fire some custom events. But that kind of filtering, I think, is pretty cool. Andrew: What about, and maybe this is on the same, a little bit along the same line, slightly different. Desktop versus mobile, mobile conversion rates tend to be so much lower than desktop, even still with some of the advent of some of the stuff like Apple Pay that, you know, it makes it easier but it hasn’t rolled out super…it’s rolled out probably, but it hasn’t been adopted in crazy wild numbers. Do you, thoughts on retargeting it and really allocating most of your money towards, you know, desktop where you can have a more likelihood of a purchase, or is that some of the things where, again, too much, you know, you’re kind of splitting the hairs a little bit more and then also, or maybe you should just let Facebook deliver the ads and see auto optimized for that? Reza: Right. So, yeah, I mean, there’s a good way to think about this. One is that again, looking at data from your analytics, I’ve actually seen a bunch of stores who do really well, that most of their sales are from mobile. They’re a minority for sure, but, you know, that insight matters, if for example you know for sure that nobody is buying on mobile in your store. Maybe you factor that in, or if you know that it’s a 50-50 split, you factor that inside. I’d lean on analytics data for this. And, you know, that interaction was the thing that moved the needle to take you from consideration to purchase, even though the paper trail is not there from a, you know, click through perspective. So, I think that, you know, if you think about retargeting as a journey and having multiple touch points from the moment somebody interacts with your store, the moment they purchase, I think you can have those various touch points assist a final conversion in a way that isn’t as clear cut as “Click this ad” and made a purchase, but, you know, having an impact on brand lift and keeping you top of mind, I think mobile is incredible for that. Andrew: Yeah. I don’t know if you do this but I just did this today. I got retargeted by an ad for something and I was like, “What is that?” and it would have been so easy to hit the button. I don’t know if it’s because I’m just wired early. I don’t know if it’s because I’m in the online space and I know they have to pay for that, but I just went and typed the URL into the browser, hit “Enter” and went over. There’s no way they’re gonna attribute that. Reza: Yes. So, actually, you know, that to me, when we look at view-through conversions, when you look at your attribution window, you can look at click-through conversion and view-through conversions. I suspect that that happens a lot. So, you know, I do it. I know a lot of different people that, and it will be interesting to go back and survey a bunch of people and see if we can at least build an anecdotal case for this. But I think that happens a lot, for sure. And you see it on your, maybe you’re sitting behind your computer, how many times have you been sitting behind your computer and scrolling through your phone, let’s say? Then you might see an ad on your phone and you just like, you know, type on your computer just because you’re sitting there. So, yeah, I think that happens. I think that happens for sure. Or it could be you see an ad and then you’re like, “And I also remember I saw an abandoned cart email for this brand. What was the code again?” and then you go into your email, you open it up and then you use the code to go purchase. And that’s like everything ties together, that the retargeting ad reminded that you go and opened abandoned cart email and you went through there and made the conversion. You know, this is like marketers for such a long time have been, you know, thinking about this problem of attribution, and it’s certainly not nailed perfectly but you can conceptualize how a lot of these sort of things fit together to make a sale. And I think on the case of retargeting, because from an absolute perspective, the costs are quite low. Like, you’re not spending so much money on retargeting. That it’s worst knowing roughly that this sort of thing happens even if you can’t fully see it on the conversion metrics to give you enough confidence that it’s worth spending your money there, just because like no compare retargeting to prospecting ads. How much money is going on an absolute basis towards retargeting these audiences are a pretty small, so maybe it’s worth spending the money there anyway even if you can’t see the exact paper trail. Just knowing that on most occasions it’s gonna help with your entire journey. Reza: Yeah, yeah. So, we think about this a lot. I have to give you a couple of sentences of, “It depends on this and that,” to give you a good answer. So, it depends on a couple of things. One of the things it depends on is the strategy of the brand in terms of what they’re looking for. If you want to have really high multiples of return on ad spend, that’s one extreme, and on the other, side if you want to maximize total number of sales from your retargeting efforts, that’s on the other side. And the reason is if you want really, really high multiples of return on ad spend, maybe all you do is run a retargeting ad, targeting people who added to cart. That segment is gonna do crazy well most likely. And then it’s a matter of preference and strategy. You have some brands who let’s say are raising money from investors and all they’re trying to do at the moment are, you know, optimize for growth. And, you know, they wanna get a certain amount of market penetration so that at the moment, profitability or multiples of return on ad spend is not the most important factor, what matters the most is that if I can get 12 sales, I want that. If I can get 15, I want that. So, that it really does depend, but let’s say if you are to be focused on just high multiples of return on ad spend, which means you can’t really scale the strategy, you’ve spent tons of money against this, but if really all you want is to have as a high return on ad spend as possible, you can get more granular and target the more, let’s say, “hot visitors,” the people that are more likely to buy, and then you could see a return on ad spend multiples as high as 20X, or something like that. And that’s not unreasonable for that segment. If you wanted to target people who are a little bit higher up in the funnel, people who bounced off of the homepage without even looking at a product, you know, these are gonna be people who are as interested as that other group. So, it makes sense to assume that the return on ad spend multiple from this group is gonna be slightly lower, and if you advertise to them, you’ll make some sales, and if you don’t, you may make less sales. So, in that group, I’d say something like 1X to 3X could be something to see in terms of average of that higher group. And on a blended basis, let’s say you’re doing like roughly full funnel and doing, you know, the various stages of a funnel, then maybe you’ll wanna be somewhere between like 4X to 8 X. And so these are roughly what we see, but, you know, it depends a lot on a lot of the factors that I mentioned. But those are ballparks. Andrew: Maybe talk a minute about creating a good quality retargeting and what goes into making an effective ad. And the more specific, of course, you can be, the better. So, a lot of people listening here are probably running some level of retargeting ads, if you can use dynamic capabilities to auto insert that product in there, or maybe even it’s a category, or something unique to the customer that’s obviously, you know, beneficial and desirable. But apart from that, what else makes a good retargeting ad? And maybe what are some of the mistakes people make when they set up their ads, that they could do better? Reza: Yeah, so you’ll notice that a lot of my answers share a similar theme, which is that it depends on the stage you wanna focus on. So, I think, you know, a lot of the message that we’ve been trying to communicate to people is that there’s more to retargeting than just like targeting anybody who’s visited your website. You know, people who bounce off the homepage are in a certain mindset. People that went all the way to initiate check out, they’re in a different mindset. And the way to make a compelling ad creative, I think, is to first and foremost, be extremely cognizant of what state these customers are in. So, you might look at running a retargeting ad against people who have added to cart, and then perhaps an ad that is, you know, demonstrating a pretty aggressive discount code that says like, “Hey, you forgot something in your cart. Take this coupon code and you’ll love it,” or maybe it’ll be an ad that demonstrates the return policy, or there’s free shipping. And these are for common objections that someone might have when they’re, you know, highly interested, they’ve added a product to cart but they’ve not gone all the way through. You wanna communicate to people in that mindset. And so I think that a really good creative is based on where people are in the funnel, and that’s really important, whereas you might wanna retarget to people who have, let’s say left off of the homepage. And these people are nowhere near ready to buy from your brand, so maybe a good retargeting ad to show to those folks is like a blog post that shows content from your stores. A good example is a Shopify plus a brand called 100% pure. They’re in the beauty and cosmetics niche. You know, in such a stage they may run a blog post about a lipstick guide and, you know, people click through and build affinity with the brand and maybe later they’ll convert. So, I think it really depends on the stage. And then given the stage, you can get pretty creative about what kind of cool content can be interesting to show to these people. I really like product reviews. I think that’s a really great one. It can work across a number of these stages. So, to show an ad that, you know, a lot of times when you look at what pushes somebody over the edge to buy product, it might be, you know, reading through the reviews and seeing that other people loved it. So, using that review content in some of the ads to demonstrate that, I think is really powerful. So, there’s a lot of things to do, but I think it matters for sure, which stage of the funnel those prospects are in and crafting an ad that speaks to them given that stage. Andrew: The review thing is interesting, especially if you can set up maybe like a multi, a carousel style ad where you’ve got, I don’t know, if I’m thinking about buying something and I see a carousel ad with seven great glowing reviews for that product, I mean that’s, to your point, is super powerful. Is that fairly easy to set up? Are some of the popular review platforms like, you know, post, smile, judge, all those kind of guys, is that pretty standard feature set, you know, for integrating that in with retargeting? Reza: We’ve created an integration with all of the major product review apps, and so we pull all of those five-star reviews and turn them into a catalog and demonstrate that. It’s like basically works as if a dynamic product ad catalog, but the product in the catalog are content that is pulled from the product review apps. So, we do that pretty seamlessly. If people wanted to do that on their own, I think a couple of the review apps do, do that natively. Otherwise, you know, you can always export that into a CSV and then upload it into a catalog in Facebook and then almost do it the same way that you do a dynamic product ad. It’s tougher when you do that manually. It’s hard to keep it up-to-date if, you know, new products are coming and going out, but it is possible, manually. Andrew: What about fighting ad fatigue? It’s such a big thing, you know, the banner blindness. Is that less of an issue with retargeting for ecommerce, because, you know, a lot of times if people are gonna buy they’re gonna buy in a shorter window versus maybe some other types of, you know, commerce which have a longer sales cycle? Or is it still a pretty big issue? And if it is, what’s the best way to fight ad fatigue? Reza: Yeah, I totally think it’s a big issue. I’d say the right way to think about this, especially in the context of social ads, especially retargeting, is that, you know, the reason people are going to Instagram or Facebook, there’s a whole study about this where, you know, you’re going there and you’re looking for a dopamine hit, basically. You’re looking for some interesting piece of content that’s gonna speak to you. And the way that that doesn’t happen is when you see the same piece of content. So, you know, ads aside, when you open Instagram or you open Facebook and you see the same piece of content, your mind is frustrated because you’re looking for that dopamine, you know, scrolling past and you don’t want that same piece of content. And so in the same way, I think even though in ecommerce the sales cycles are shorter, you might have somebody open Instagram three times in a day. So, maybe they’ll open in the morning and then in the afternoon they’ll open it again and see your same ad twice, and you’ve just been, you know, you’ve just contributed to ad fatigue. Whereas if they see it in the morning and they see one ad creative and then in the afternoon they see a different one from your brand, I think we think about this as like if you’re gonna advertise on social, the best way to do it is to stand out by blending in, and how to make your ad content be consumed just like regular content on Facebook or Instagram. And, you know, the easiest way to do that is to make it change and evolve, which is how every time you open your social feed, ideally, you wanna see a new wave of fresh content, and I think the same should be true for advertising. In my view, that’s the best way to fight out fatigue. Andrew: What about ad budgeting? Seeing the ad budget either at the campaign level or at the individual ad level, and mistake I’ve made where much smarter people than I am in the phase have, you know, pointed out to me is a lot of times is Facebook can allocate that ad spend much more effectively and in a smarter way, just given all the data points it has if you do it at the campaign level. Is that pretty safe for retargeting as well? Or any other tips for ad budgeting in addition to that. Reza: Yeah, I think that’s a good point. In many cases, you wanna let Facebook do its thing when it’s good at doing that, and so that’s a good example of where you sometimes wanna just let Facebook run with it. I’d say the biggest thing that comes to mind for me when it comes to budgeting, particularly for retargeting, which would be very different to budgeting for prospecting, is that in the case of retargeting, let’s say you’ve done your segments and you say that you wanna target people who have viewed a product, and you wanna target them for the next seven days or 14 days, or whatever that ends up being. That audience is gonna have a certain size, maybe it’s 10,000 people, whatever it is. So, given that constraint of the size of audience, then I think there’s two additional variables that you throw in there and you basically work backwards. So, that is what frequency goal you wanna try to hit? And I think frequency, roughly speaking somewhere between eight to 15 is probably a good thing to shoot for. And then from a reach perspective, you ideally wanna reach everybody in that audience. So, if you say you wanna reach everybody in that audience and you wanna reach them at a frequency rate of roughly eight to 15 or, you know, through testing and fine tuning you can figure out what makes the most sense for you, then you work backwards from that to say how much money should I spend to reach this goal, and then I think that’s the best guiding principle towards deciding how much to spend on ads for retargeting. Andrew: Facebook and Google, obviously are, you know, the two big places that retarget. Anywhere else that makes sense to spend money where you can see a good return that has the network to be able to get in front of people? Reza: Yeah, so I’d say even on the Google front, we have yet to see the results that we’re looking for on the Google Display Network when it comes to retargeting to be satisfied to rolled out into our offering and actually recommended to our clients that they should be doing retargeting on Google. It should work. I think Google is a great platform, but our experience has been that the return on ad spend has actually not been what we’d like to see on the Google Display Network. I know they’re working on it, and I know they’re trying to make it better, and I’m always interested to hear from people who have been able to make retargeting work well on Google. But we’ve tried along, we still haven’t seen it. But we’re still working on that pretty actively and in touch with Google, and seeing if we can find the formula for making retargeting work on Google. But I would just, you know, add to your initial sentence that I don’t know if Google is that obvious as a place to retarget. I think it’s great if people know that they really wanna build brand affinity and just remain top of mind. If people are quite concerned about return on ad spend multiples, you know, Google isn’t entirely obvious at the moment. I would say the other platform we’ve seen work pretty well but it doesn’t work for everyone, it needs to be niche, but I think Pinterest has been very interesting. If you have the type of audience that hangs out on Pinterest, we’ve seen very interesting results on retargeting for Pinterest. Other than that, I don’t have any other place to recommend, but I would say that this is, it’s a question we think about a lot and we wanna be able to share that with our customers in the world when we find other platforms that we can do we targeting well on to suggest that to people. I don’t have a lot of experience on this, so I shouldn’t talk about it, but I’m very interested in what Amazon is doing on the advertising side. I know they’ve always done really great work advertising in their own ecosystem in terms of, you know, paying for sponsored product listings, but there seems to be a lot of rumors going around that Amazon is on the cusp of becoming a really powerful ad network in its own right, like having nothing to do with advertising on Amazon itself. So, I would say keep an eye on Amazon, but I don’t have anything interesting to share on that front. But I would just say they’re thinking a lot about ads, it seems. Andrew: Interesting, I mean, it makes a lot of sense. I mean, when you think about Amazon, granted, they’re not gonna have some of the interest-based, I mean, if you’re somebody who is interested in… or maybe you would. I mean, they could build some pretty cool…they have amazing database of what people are interested in terms of what they’ve purchased, right? And like what gauges interest as opposed to, you know, better than how much money you spend on something? Yeah, that’s interesting. I never thought about it before, but, yeah, it makes a lot of sense. Maybe leading in to that, be on the lookout for potential Amazon rolling out some ad stuff, any other changes you anticipate in the coming year on the remarketing front? Reza: So, I wouldn’t say this is particularly to remarketing, but in general, I would say between Facebook and Instagram, people should be paying a lot of attention to Instagram. I think that for the longest time it’s been like Facebook is the dominant player and Instagram is like the smaller network where, you know, you have a lot of engagement, but it’s not anywhere near the mass of Facebook. But it appears to me that, at least where the trends are pointing out, Instagram is just, you know, on fire in terms of growth. And so I’d say starting to take Instagram a lot more seriously as an independent platform and not just another Facebook that’s grouped between ad inventory where you can show ads on the right hand column or on Instagram. I would advise people to think about Instagram in its own independent form. And then within Instagram, just like in general thinking about Instagram is I think a really important place for brands to allocate some mind share. And then within Instagram, I’d say the stories format is very, very interesting in terms of the consumption of Instagram seems to be very heavily skewing towards people spending a lot of time browsing through the stories. You know, if people are spending a lot of time there, there’s a lot of opportunity for ad inventory there. And just, you know, the fact the formats are different, the consumptions are different, I think it makes a lot of sense to think about it. And it’ll probably take, you know, all marketers a long time to figure it out, so I think there’s some opportunity to be ahead of the curve there. And a lot of people already are, but just kind of zooming in on Instagram and zooming in on Instagram stories, I think is a good place for people to think a bit about. Andrew: I mean, I think a lot of people are familiar with Shoelace, but for those who aren’t, can you talk about what you guys do, how you help people retarget? And you’ve also got a pretty cool release coming up October, 1st, if you could mention that too. Reza: So, you know, we’ve actually struggled over the years to quickly to describe what Shoelace is, because we’re a new format. It’s like we’re not an agency and we’re not a SAS product. We’re somewhere in the middle. So, it’s something like, you know, part human, mostly automation, to deliver end-to-end retargeting experiences for brands. So, that’s one way that I would explain. And, you know, I say agency, we also have a lot of agencies that are using Shoelace to run ads for their clients, so it’s not necessarily a replacement agency, it’s that we focus so heavily on the retargeting side, and we wanna take that entirely off of your plate. And, you know, that could be an agency, that could be an in-house marketer, whoever is doing paid ads for a brand, we’re able to be the trusted delegated solution to retargeting so that they can spend all of their effort driving traffic and doing prospecting. So, I would say, yeah, it’s one of the things we’ve struggled with explaining very quickly what we are. Andrew: Yeah. Your pain is felt by many listening, myself included. Can you talk about your kind of the cool, we were talking before we had done here some of the cool stuff you’ve got coming in the pipeline, hopefully, October 1st? Reza: So, October 1st is a really big release for us. Basically, we launched Journeys, which is what we call our funnel-driven sequential retargeting. We launched Journeys about a little over a year ago. It’s done really well, you know, resonating with marketers who want to deliver this kind of ad experiences to their prospects. And for the longest time, we have been trying to create solutions that worked for everybody, and we realized that that doesn’t really work. And so for the last, let’s say few quarters that we’ve been working on this major release, we’ve really centered this release on two things, one is everything we’ve learned about retargeting Journey since we launched it, and building specifically for the type of brand in mind, our brands that are doing at least a few hundred thousand dollars a year in sales and more. You know, when we segmented to that traffic volume, we were able to release, you know, a lot of product features and offerings that make a lot of sense for this brand size, but not necessarily for brand sizes that are below that. And so yeah, I’d say a lot of what’s packed into our new offering is aimed a few hundred thousand a year in sales and above. So, a lot more granular targeting, a lot of cool stuff that I’ll leave with a bit of mystery. But if people wanna tune in and follow us October 1st is when we’ll announce it, and it’s gonna be very exciting. Andrew: Very cool. Reza, before we wrap up, are you up for doing a quick lightning round? Reza: Yeah, let’s do it. Andrew: Great, feel free to short, punchy answers, through them, and they’re just like the name implies. And the first one is, what’s something you’ve changed your mind about recently? Reza: So, I think I’ve changed my mind on the value of hard work. I think that I’ve always felt that hard work was the answer to everything. I still believe it’s incredibly important, but I think that hard work without some well thought out strategy and, yeah, strategic direction on why you’re doing a certain thing, it could be a wasted effort, which is terrible to think about. b But, yeah, hard work alone doesn’t solve all the problems. Andrew: I like. I’m gonna title this episode, if it’s okay with you. Andrew: “Reza, from Shoelace, On Why Hard Work is Overrated.” Does that sound like a good title? Andrew: No, I totally agree with you. What are you currently spending too much money on? Reza: So, this is a tough one. So, we’re actually pretty frugal, so we’re not wasting a lot of money anywhere. But I’d say the biggest thing is that we are, for the October 1st release, redesigning our website. We’ve hired a pretty cool agency to do it, and the price tag on it stings very much, but I think it’ll be worth it. Andrew: What’s something you’re not spending enough money on right now? And this could be personally or with business. Reza: I’d say on the business side we probably should be spending more money hiring more smart people and paying them more, or spend money on marketing. We spend money on both of those things, but I think that we should always be spending more. Andrew: What’s one of the top items on your bucket list, something you wanna do before you die? Reza: I would love to own a boat. Ideally, it’s a nice fancy one, but I’ll settle for something basic as well, and to travel from one place to another via boat. And it could be just, you know, the idea is to do that in my own boat. And it doesn’t have to be a really long distance, but I think it’d be really cool to travel from one destination to another on a boat that I own, and I think would be really cool to do. Andrew: And then finally, what’s the number one thing you’re trying to optimize your life for right now? Reza: So, this would easily be managing my time better. I think that as the companies grow and I feel that I’ve become, drowning in my calendar basically, and my to-do list and not really able to commit to things as well as I could have. I’m sure a lot of entrepreneurs listening can relate, and I think it’s become very clear to me that being able to manage the way that I spend my time in a day, in a week, is the necessary problem for me to solve in order to tackle the upcoming challenges in our business. And it’s a tough one, I’m struggling with it but plowing through. Andrew: Reza, well, I really appreciate you coming on talking about this, and drop all your knowledge on retargeting. If you’re using Shoelace right now, be on the lookout for that new release coming soon, October, 1st. And if you’re not, you’d like the idea of having someone to give you a big leg up with your retargeting efforts, Shoelace.com is where you can learn more about the company and get signed up. Reza, thanks so much. Man, this was fun. Reza: Yeah, I really enjoyed it. 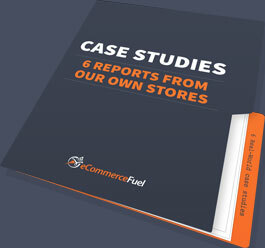 Andrew: That’s gonna do it for this week, but a few important things to know about, especially if you’re a store owner before you go, first, if you’re looking to hire for your ecommerce business, make sure to check out the eCommerceFuel job boards. We’ll get your job in front of thousands of qualified job seekers to find you the perfect candidate. And if you’re an established store owner, you absolutely should be a member of our private community for seven-figure-plus store owners. You get access to a discussion forum with over 1,000 vetted, experienced ecommerce entrepreneurs, invitations to our in-person member-only events, and access to our private review directory with over 5,000 software and service provider reviews. If that sounds interesting, you can learn more and apply for membership at ecommercefuel.com/forum, that’s F-O-R-U-M.
And then finally, a big “Thank you” to our two sponsors who help make the show possible. First, Liquid Web, the best place to host your WooCommerce anywhere online. If you’re using Woo, you need to check them out at ecommercefuel.com/liquid web. And also, Klaviyo, who makes email marketing automation incredibly easy and powerful. You can learn more and get started for free at ecommercefuel.com/klaviyo. That will do it for this week. Thanks so much for listening, and I’m looking forward to seeing you again next Friday.